You wanted it and now you've got it. 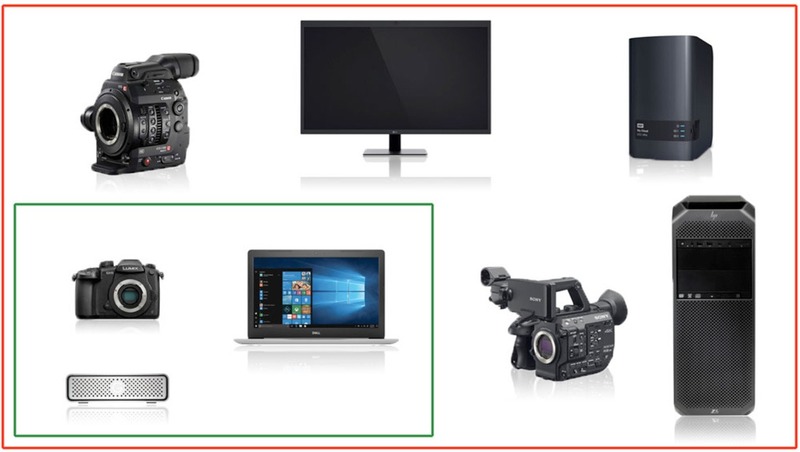 Almost every single video-capturing device today boasts 4K capture. Do you feel the future is here? More resolution gives you the freedom to crop in post and deliver in 2K without losing significant quality. Shots out of focus won't be so noticeable when scaled down to 2K. Mobile traffic prevails over desktop devices, and their screen resolutions are hardly 2K. To be more specific, according to the statistics for fstoppers.com, the majority of photography and videography-loving viewers are browsing the website with devices that have less than 2K resolution. Internet speed and bandwidth is not three or four times greater to compensate for the larger amount of data in 4K videos. Hosting companies charge more and more for bandwidth, which makes it highly impractical to serve videos from your servers. General hardware is still not four times faster than two years ago to process or display 4K footage easily and quickly. Desktop computer and laptop displays are still less than 3K in their majority, just like two years ago. Movie theaters still project 2K movies. There are still people who boast their final video files are 4K. I know, it's still a fashion trend. In my opinion, the jump to 4K was a bit too early for most low-budget video devices, including DSLRs, sub-$10,000 cinema cameras, and phones, of course. It seems the winners of that transition are mostly the hardware manufacturers. Tell us what you think. Have you invested in 4K hardware and workflow, and was it worth it? If you haven't, will you do that today or is 2K still king? Most of my clients only need 1080, but 1080 looks so much better when down-sampled from 4k (more real color information). When you have 5-figure clients commenting on how fantastic the footage looks (from my 4k laptop btw) and booking you for the next shoot right away, cost doesn't really matter. Other benefits include zooming and panning the 4k footage while maintaining the 1080 quality. I agree and that's one of the reasons 4K has benefits. There are many people who don't use those benefits and think 4K is just like "lots of megapixels" and automatically makes everything a masterpiece (at the cost of processing power). Disagree...4K is very useful for framing, etc. I deliver nearly 95% of the time in 1080P...the extra resolution helps in editing. I love the extra latitude and it will only get better as the codecs improve. For that reason, I do agree, as I stated in the article. But if no major reframing is made I don't think it's worth it, unless shooting with a very shallow depth of field and having out of focus areas here and there. So what 4K sources do you get with that new and shiny 4K TV set ? Xbox X / PSpro upsampled ? seriously ? One more thing: Do you think there will be a significant difference between a 15,4" laptop with a 4K resolution vs. one with a 2K (like the majority of the current ones)? Yes, but texts will be unreadable. 4K needs a bigger physical screen and today the people with desktops or 4K desktop monitors are not that much, because the interiors are getting more and more expensive, people are moving in and out more and more and they think they better have a laptop. Yes, there are viewers with TVs that watch 4K at home, but I doubt most of them browse websites and watch small-budget videos and commercials that are usually published on websites than aired on TV. Are you on a Mac or PC? I have a Dell XPS 9560 with 15.6" 4k screen. All software from the last 4 years runs fine, you just need to scale the text in settings, it's quite easy. I have some Nikon software that hasn't been re-written and I run that on my 2nd monitor or change the Dell to 1080 until I'm done. This is what I'm talking about: with the growing resolution the text size has to become larger which is a sign the resolution is large enough. I find bigger resolution to fit only bigger screens. Otherwise it's like an ugly patch on new clothing. I find bigger resolutions practicable only for special types of media such as editing softwares or big screens intended to view that particular resolution. The general media (computer screens and especially laptop screens or smaller devices) are having a hard time to utilize greater resolutions without compromises. There are pieces of software that do not obey the OS-level font size alteration and that's why this won't always work. Websites won't look as they were intended too. Mac or PC, it doesn't matter. It's about the physical size here. A 4k 15" screen is not responsible of 'too small fonts' problems. This only a Microsoft Windows EPIC FAILURE with its ugly and stupid and bad raster engine ! Browsing the web with poor and lousy browser found in iTV is as stupid and lame from the manufacturer that have usually ZERO care about theses features, they only want you to shell out tons of money on a useless device. The proof ? you cannot use their 4k system as they did not even tried to use the embedded software they will never update ! Get a life, and stop using Windows with hi density displays ! You will be amazed how a linux or Mac is able to get crisp and clear display with correctly rendered fonts and objects instead of bitmap zoomed out or zoomed in tiles that give ugly results and imply microscopic fonts ! And frankly, how can you be so picky with lenses MTF, sensor accutance and be able use a LCD screen with a non native resolution feed ? HOW ON EARTH could you tolerate that sin ? "...Did the 4K Video 'Revolution' Make the World a Better Place?" 4k has add that extra something quality, down-sampling, editing flexibility. To where why wouldn't you consider moving exclusively to 4k. I use a simple Fz300 and if that was 1080. It would be terrible but having the 4k recording it makes smaller sensors useable just because of the quality of 4k. For now all you guys stated the same 2 benefits: reframing and downsampling. I have a problem with downsampling from 4K and sometimes it's way too sharp and it has to be blurred, because of a Moire-like sharpness glitches here and there. I don't know if you've happened to notice such. This happens mostly when the shot has a deep focus plane. 4K downsampled also helps a lot with the poor color subsampling of many codec- gets your 4:2:0 to be 4:2:2 when down-rezed and allows for much better color post work. So basically there is hardly any real end use for it as most devices are sub 4k and from a production point of view what it has really done is allow people to shoot 2K badly and get away with it. Hmmmmmm. "what it has really done is allow people to shoot 2K badly and get away with it"
I would say it has allowed many people to shoot 2K better and more easily. One of the most obvious examples is simple talking to camera pieces where the punch-in to 1080 crop can be used strongly for emphasis (but don't overdo it!) or used sandwiched by b-roll as if it were a 2 camera shot initially. Yes, they have done it the "lazy" way and could have set up two cameras at different focal lengths (nevermind shifting eye-focus at the right times), but "lazy" is a great tool if there is no significant compromise. Tihomir, you glossed over the best reason for 4K—IT LOOKS BETTER. Screens, are only getting better and higher resolution. All currently sold desktop Mac's are 4K or 5K, Most MacBooks, all iPads and many iPhone's have resolutions over 1080. Any decent TV sold these days is 4K... So while you may not even be able to watch 4K content on all those devices (like on phones), time is only marching forward and screens are only getting better. As screens get better and more clear, you can see a difference, especially on a big, bright desktop computer. Does 4K make the world a better place? If you have a nice screen, yes, yes it does. In theory that is true, but 2 years ago when I wrote that previous article, the statistics for the displays of the viewers browsing Fstoppers was identical. Displays are almost the same resolution. The reality is that making a phone with a 4K display or a tablet with a such won't be noticeable. Most people will be happy with their 2K displays for a long time, I think. Maybe it isn't noticeable for many or most people, but to those who are more discerning, it does (all other things being equal, of course). Is it worth it right now? 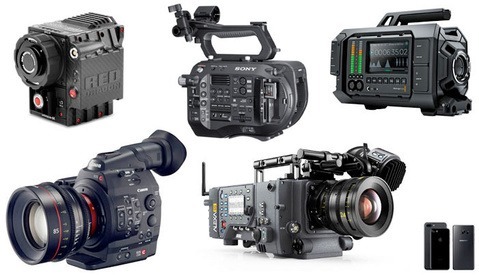 I think a lot of content producers feel like it is a good time to be going 4K. Currently, there are many factors content producers need to consider (& pain points) when dealing with 4K, but we are going to reach a point where it won't be such a big deal to process all that data. I think of it this way; would I want to go back to use a 10MP camera, even though "most" won't see a difference? Hell no! As the person taking and processing that image, I want as much resolution as I can afford, even if I'm only using it to make a tight crop. Hard drives are only getting bigger and processors are only getting faster. Managing 24MP photos is totally acceptable on my 2015 5K iMac, whereas 10 years ago, it would have been a lot slower and the cost to store thousands of 24MP raw files would have cost a lot more. Obviously, you have to do what is practical for you and/or your customers, but in the end, things are only getting more resolution over time. The only ones who gain from 4K are those who edit in 4K just like those who edit 10MP or 24MP images. The end viewers are very distant from the 4K media and are far from ready for it. I also don't think it's of any practical values to have 4K displays on smaller physical screens, because texts will be unreadable.